Gümüldür Resort Hotel is located in Gumuldur Beach which is one of the most popular beach and has a wonderful landscape. 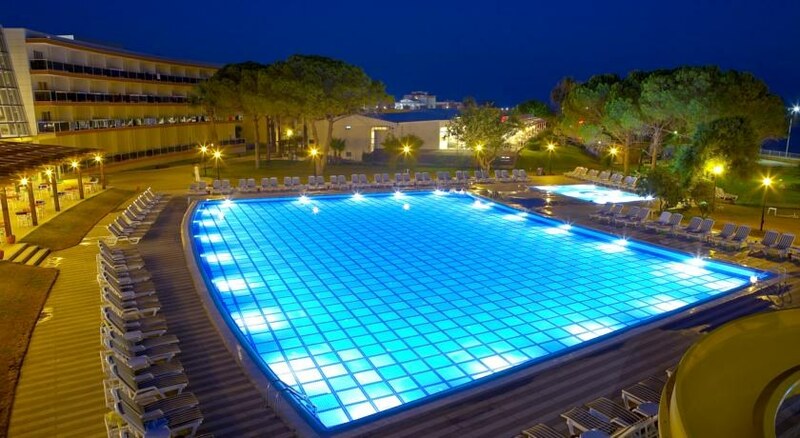 Swimming pool, children pool, snack bar, disco, meeting hall, fitness center, doctor, tennis basketball, beach volley, Turkish Bath, sauna are some activities you can find in the hotel. Gümüldür Resort Hotel's all rooms have bathroom, safe, minibar, air conditioner, satellite TV, direct phone, and hairdryer. **All activities depend on weather conditions and the hotels may change programms and opening hours without any notice.